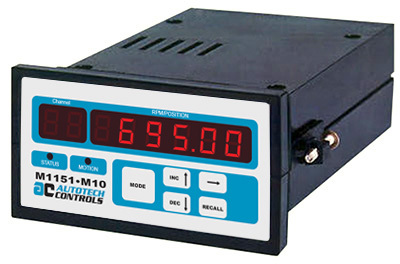 Resolver Decoders decode the analog outputs from a resolver in a digital format to feed in a PLC or other controllers. Autotech uses a highly "noise immune" ratiometric decoding technique in all decoder products. A wide range of decoders are available with various features such as zero offset capability, flexible resolution or counts per turn, choice of output types (TTL, sinking or sourcing) output format, (BCD, binary or gray code) and single or multi-turn models. Autotech also offers plu-in decoders for A-B 1771 I/O rack, IBM PC, Modicon 984, Quantum TSX and GE.